Social media is an undeniably large part of any business, both from a marketing perspective and from a personal standpoint: it’s a way to reach your customers, a space to build your brand, and an outlet for employees to utilize in their spare time. For all social media’s prevalence, though, crafting and incorporating an adequate social media policy is deceptively challenging. Here are a few pointers on keeping your brand—and your team—happy on social media. Simply put, screening employees based on their social media content is a terrible idea. Between the potential for bias and the fact that doing so is legally grey at best, using social media presences to filter out applicants is a poor idea. If you do notice that a current (or future) employee has questionable social media content, politely advising them to change their privacy settings is fine; however, forcing them to make the change is not. You should also tread lightly when responding to reviews (e.g., those found on Glassdoor or Facebook). Regardless of whether or not you find a review’s criticisms valid, replying with anything other than gratitude and kindness is sure to land you and your company in hot water. How you interact with your employees on social media is, at its core, a workplace culture dilemma: if you want to maintain open lines of casual communication with your employees, feel free to do so. However, keep in mind that sharing photos or posts from employees may constitute a privacy violation in your state. Before sharing from or posting about any of your employees, make sure you obtain their written consent. You have a bit more leniency when it comes to work-related social media accounts—for example, if an employee has a work persona Twitter account—but this is only pertinent if you own the account in question and have made clear beforehand the terms surrounding the account’s use. According to the National Labor Relations Act, you cannot tell your employees how to act on social media; therefore, unless one of their posts violates your company’s hiring terms (e.g., an employee harasses another employee), you can’t retaliate against an employee for their social media behavior. However, you should still remind your employees that their actions do reflect on the company as a whole. While you usually won’t find legal precedent to fire employees for being outspoken, encouraging them to think before posting is good. When creating your company’s social media policy, try to keep it brief: outline only the basic stipulations—e.g., reiterate that harassment isn’t tolerated, bring up the NDA, and so on—and avoid rules regarding the type of content, conversations, or connections your employees can have on social networks. As previously mentioned, doing this may not even be legal in your state. You should also avoid looking for trouble in the form of visiting your employees’ personal accounts. There is little to gain from checking in on your employees’ social media pages; even if their information is public, it’s poor practice to hold accountable one of your employees for their online conduct unless it first comes through your HR department. Do yourself a favor and steer clear of your employees on all forms of social media where possible. Of course, not all social media behavior is tolerable, so make sure your employees know what to avoid. Things like harassment, hate speech, and other socially unacceptable topics most likely don’t align with your company’s culture; while your employees probably know this based on the terms to which they agreed upon their hiring, a gentle reminder will help prevent work drama and HR nightmares alike. Keep in mind that, when talking to your employees about their online behavior, you probably can’t outright ban them from most topics—nor should you. A good rule of thumb is that if your employees’ NDA doesn’t prohibit a specific behavior (e.g., discussing work conditions or wages on social media), your social media policy probably shouldn’t, either. Exercising proper social media etiquette is a challenging—and, at times, confusing—endeavor, especially when state legislation gets involved. 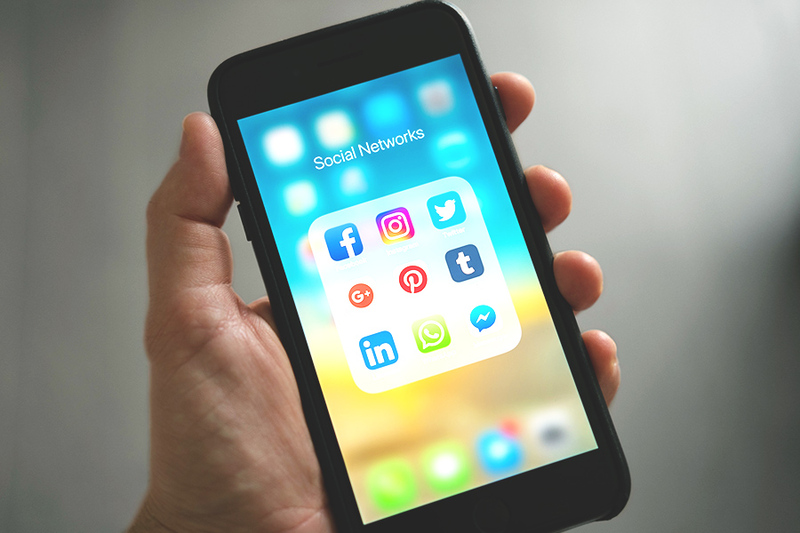 For more information about social media practices which keep both your customers and your employees happy, call Abacus Payroll at (856) 667-6225 today!